Being one of Kuala Lumpur's longest serving shopping malls, Bukit Bintang Plaza (also known as BB Plaza) with its anchor tenant Metrojaya, still commands a large crowd with its offerings of local and international goods. You will be spoilt for choices of clothes, fashion accessories, footwear, sports goods, electrical equipment, pharmaceutical products, computers and furniture. The mall, with its eclectic mix of traditional and avant-garde shops, is a firm favourite with many shoppers. Its recent face-lift has given the centre a new look which helps stay in time with the newer complexes mushrooming around it. The eventual outcome of this exercise? A brand new experience that makes shopping and dining within its six floors an enjoyable family outing. >Sometimes, it can be confusing trying to distinguish between BB Plaza and Sungei Wang Plaza as they are connected to each other. Housed within one building are two shopping complexes, both as bustling as the next. The trick in telling them apart are in the colour of their floor tiles. BB Plaza is identifiable with its green tiles where else Sungai Wang Plaza has the red. Not really an ideal colour match but it serves its purpose. Integrated with the adjacent Sungei Wang Plaza, you will find a few well-known outlets that can surely drain your pockets. Nevertheless, the deals you normally get at this mall is fairly reasonable. Good selections of AV equipment and cameras are also available here, as are footwear and apparel, making this shopping complex a fun place to shop. For those who love fashion, check out the famous local boutiques like Rizalman Ibrahim and Zang Toi New York. Book lovers can spend time at MPH to find their favourite books and latest publications. Other popular shops here are Salem Cool Planet, Marks and Spencer and The Body Shop. 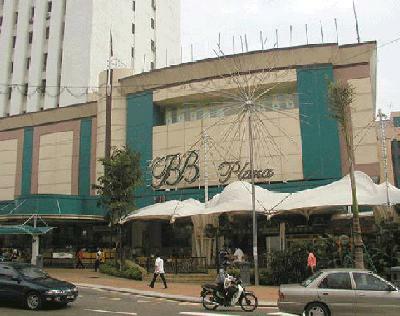 Bukit Bintang Plaza also offers several food outlets in addition to the fast food restaurants. There are many choices here for you to choose. Their food and beverage are tasty. You definitely will want to have another try for it!